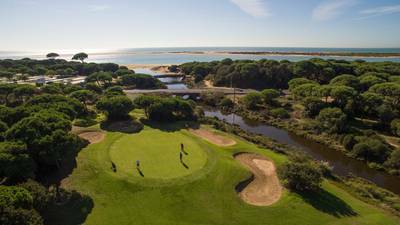 El Rompido South Course itself sprawls across an intriguing mix of parkland and marshland within the protected natural marsh area of Las Marismas (marshlands) del Rompido affording splendid views over the Atlantic Ocean. 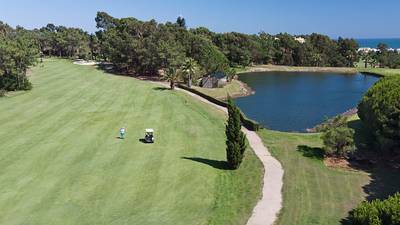 The walk from the 8th green to the 9th tee takes you across a 650ft pontoon right across the protected marshland where you can see freshwater crabs and an abundance of bird life. 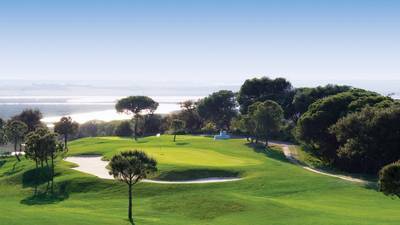 The pine forest alternates with olive trees and wetlands, requiring golfers to use strategy and precision in their strokes. The front nine holes are quite open allowing you to ease into the course with a fair degree of risk taking while the back nine is fairly short but tight. 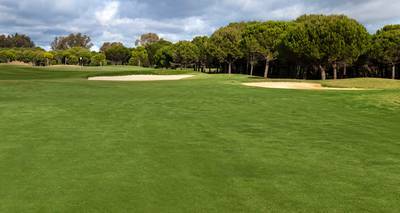 This fairly flat and worth walking golf course has a combination of tropical grass and winter grass giving the fairways a comfortable and pleasant feel, its spacious greens that claim to be one of the fastest in Andalusia.